Two weeks ago I shared my easy Pulled Pork recipe. 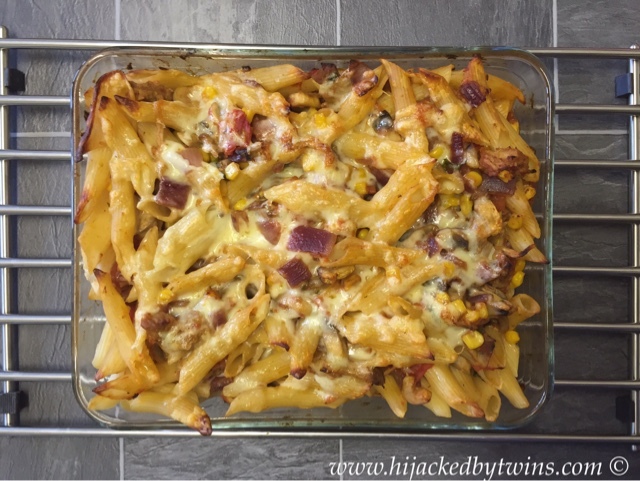 Today I am going to share with you my delicious leftover pulled pork pasta bake. Pulled pork is such a great, budget meal. 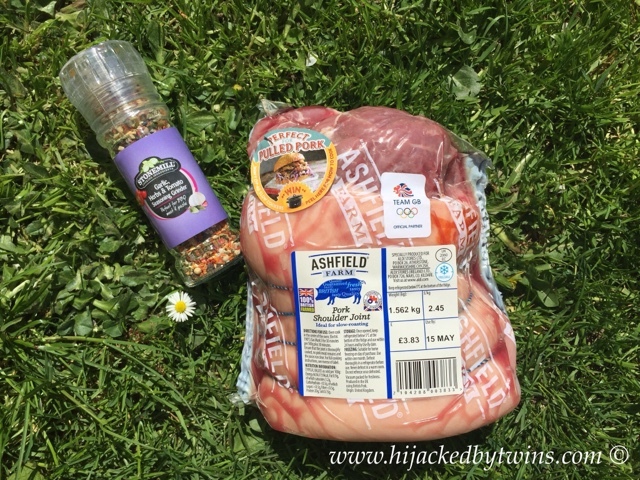 The pork shoulder joint cost just £3.83 for 1.562kg! and provided us with 12 meals! Today's recipe is made using leftover pulled pork, but if you do not have any leftovers Aldi have got some British Pulled Pork on offer until Wednesday! The beauty of this meal is that you can bulk out your leftovers with delicious vegetables and pasta to create this pasta bake. Aldi's Everyday Essentials pasta is priced at just 29p for 500g, that makes this a super cheap meal! At the moment mushrooms and peppers are in the Super 6 offer, making them only 69p! This pasta has become a family favourite in our house. I love using leftovers, they make such flavoursome meals that everyone loves. 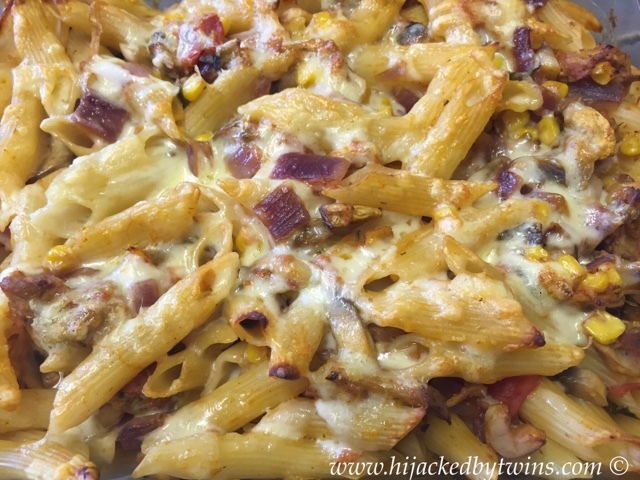 This pasta is delicious served as it is or with a side salad or garlic bread. Oh yum! My kids would seriously love this. You make it sound so easy to cook too! 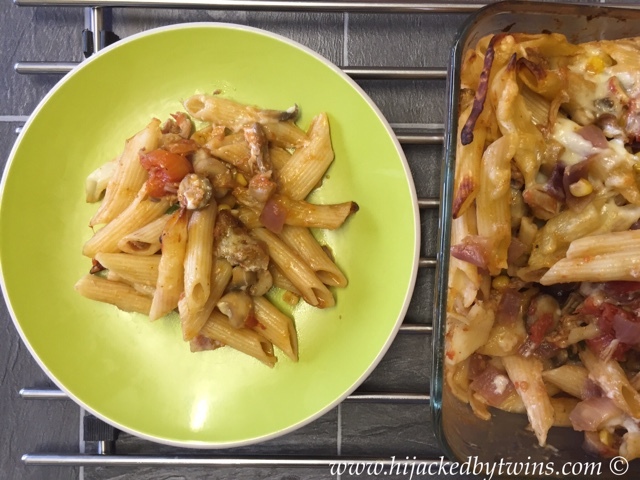 I love using up leftovers and pasta bakes are ideal for that aren't they - filling and tasty! That sounds lovely and would be devoured by my lot. This looks incredibly yummy, i never think to make pasta with meat in!